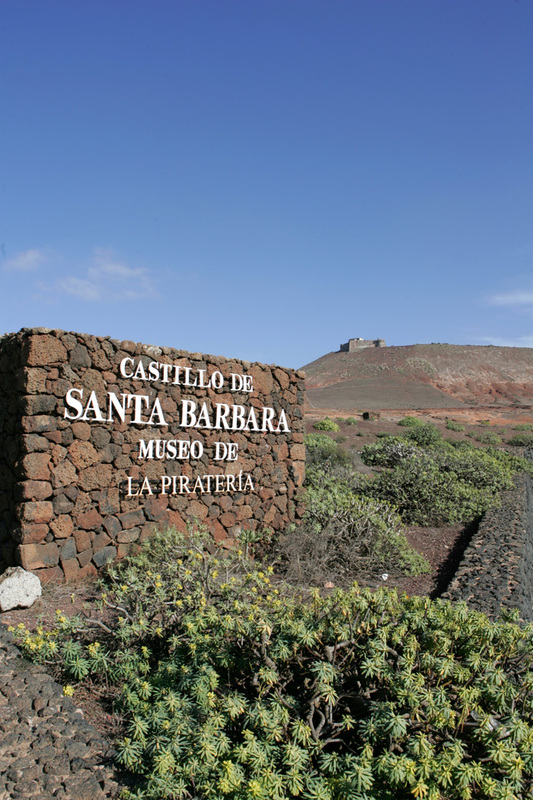 The fortress of Santa Bárbara, lying on the volcano of Guanapay, is the result of several constructions which date back to the middle of the 15th century, when Agustín de Herrera y Rojas decided to build an impregnable refuge against the pirate attacks which Lanzarote was continuously suffering. 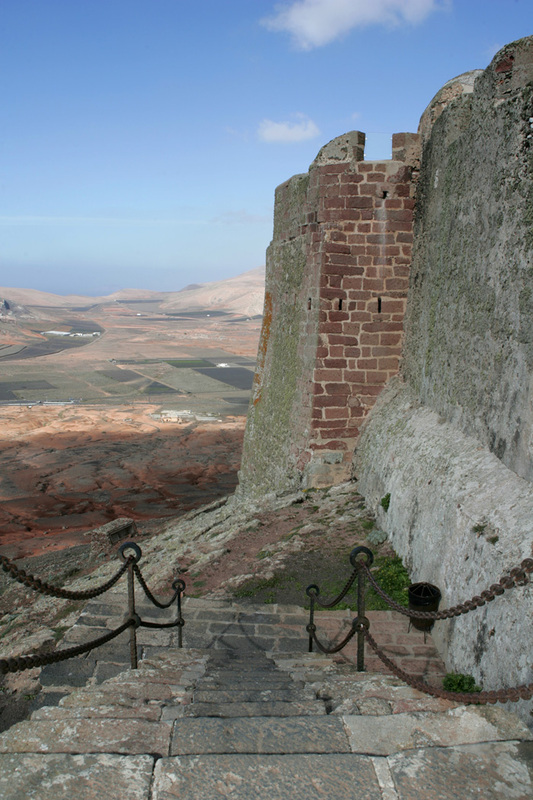 This castle was not only used as a watchtower to sight the pirates coming from the sea, but its facilities were also used as a refuge for the local population, as dungeons for prisoners and even as a military pigeon loft. 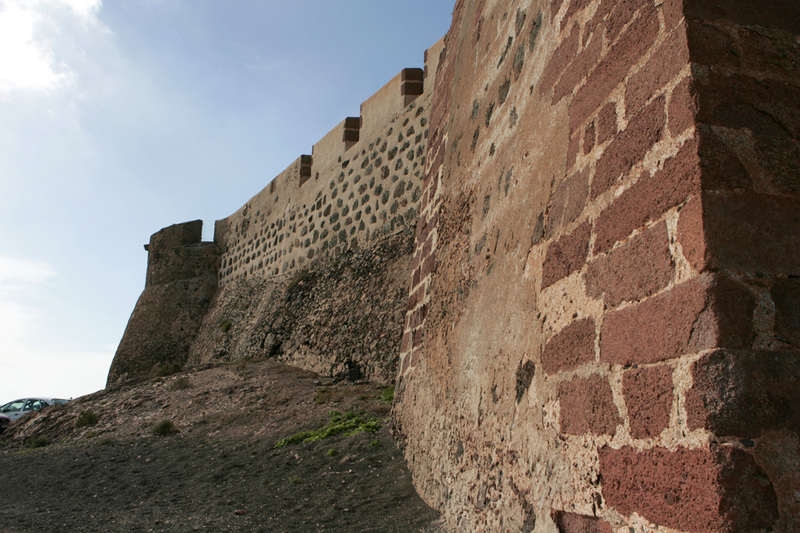 Lanzarote was one of the most threatened islands by international pirates. 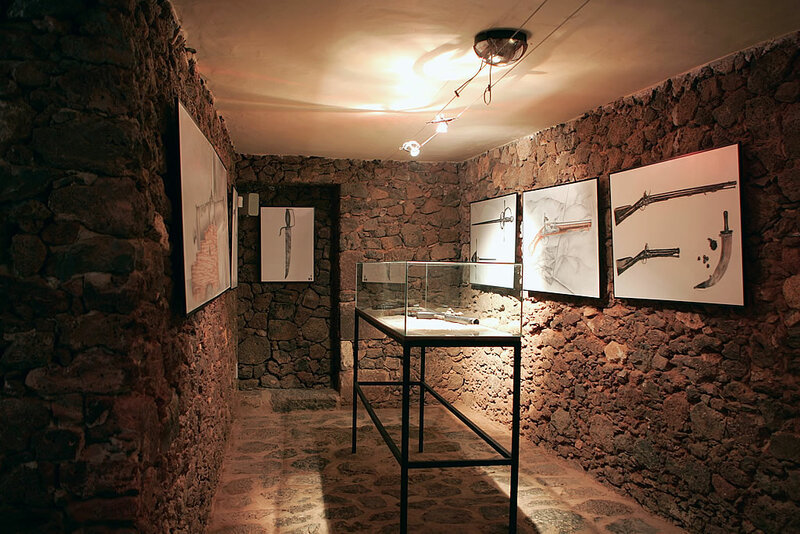 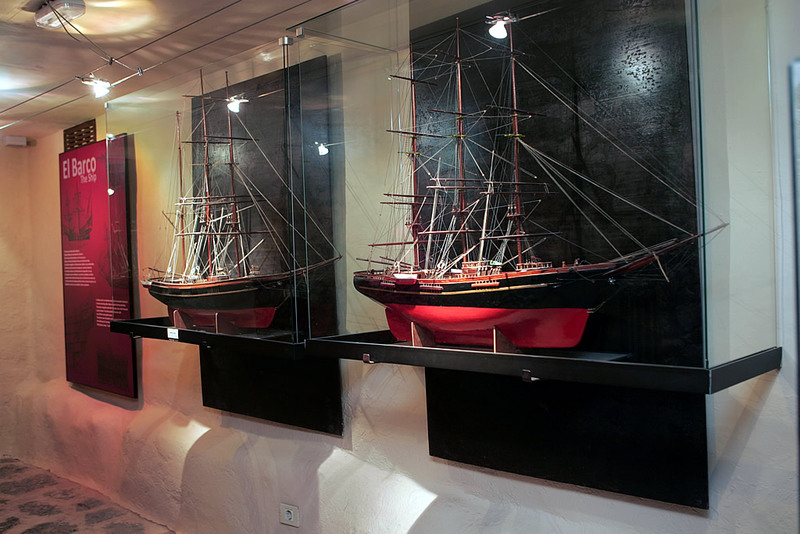 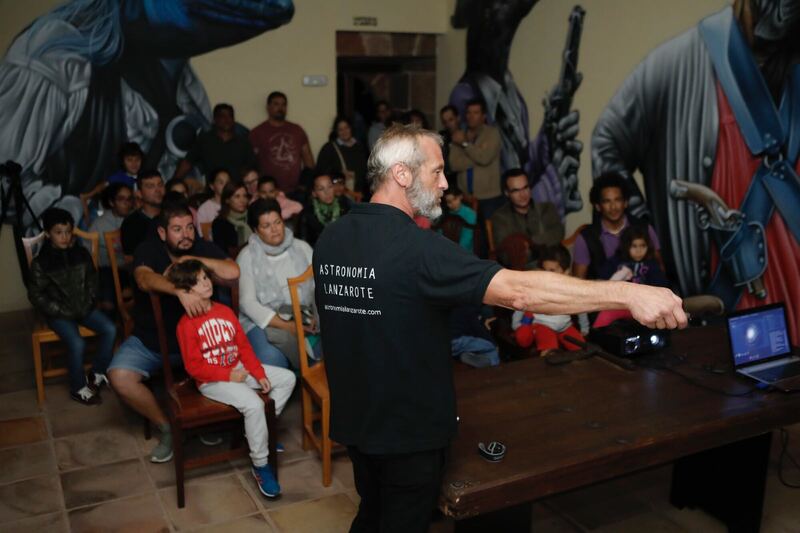 Thus, the Museum deals with two historical perspectives: the study of piracy in Teguise and the study of international piracy in the Canary Islands. 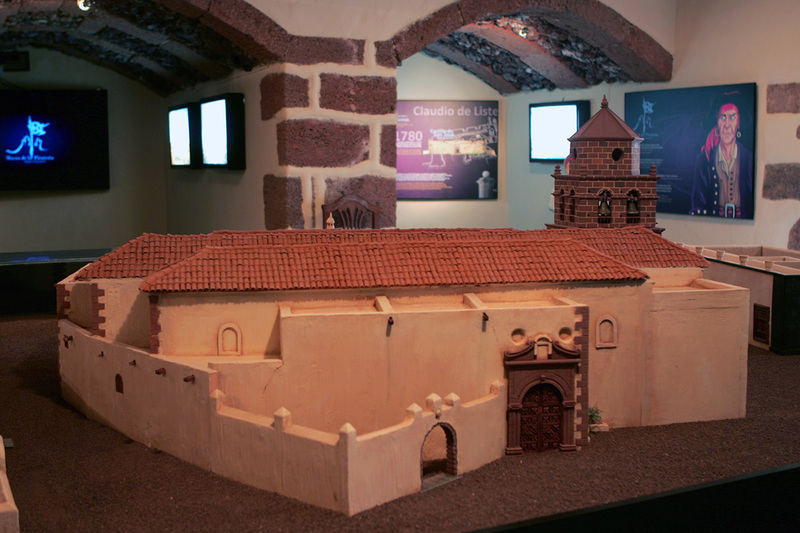 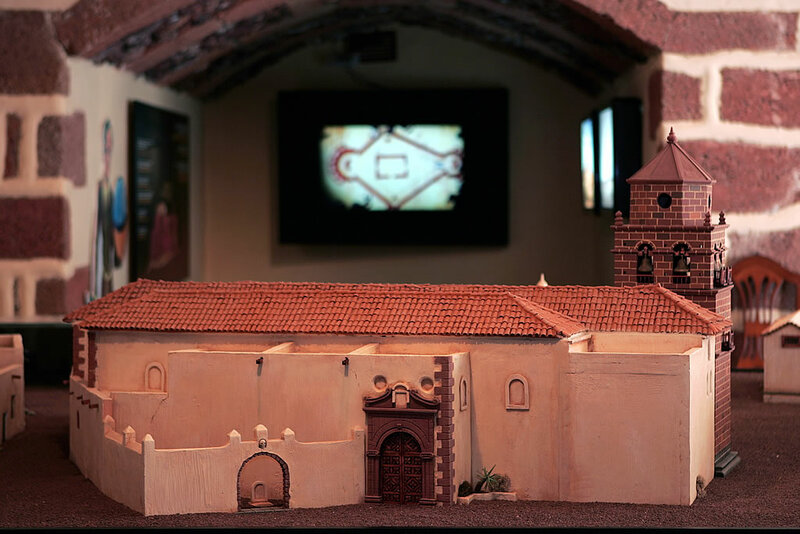 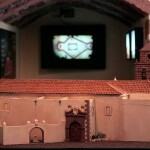 The first hall shows the history of Teguise as the old capital of the island and features a model of the old town, showing the political, military and religious power of Villa de Teguise. 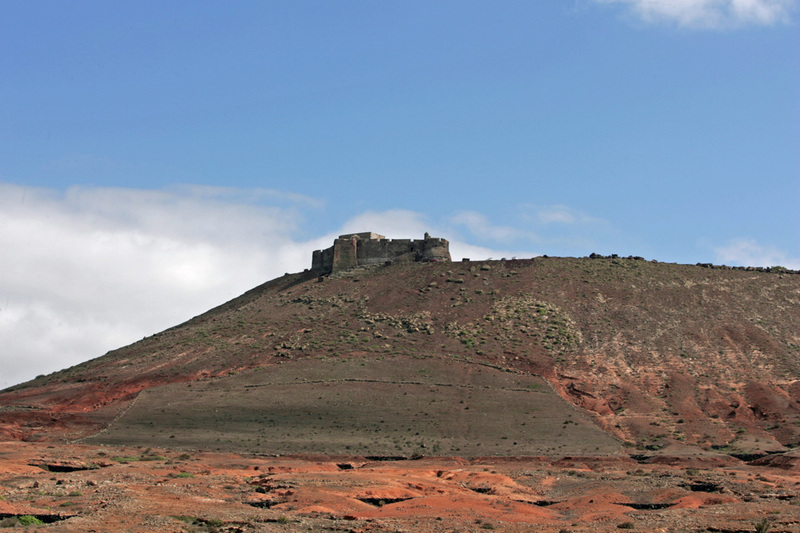 As most of the population of Lanzarote lived in Villa de Teguise, this town was, over centuries, the main target of pirates’ attacks, especially in search of slaves. 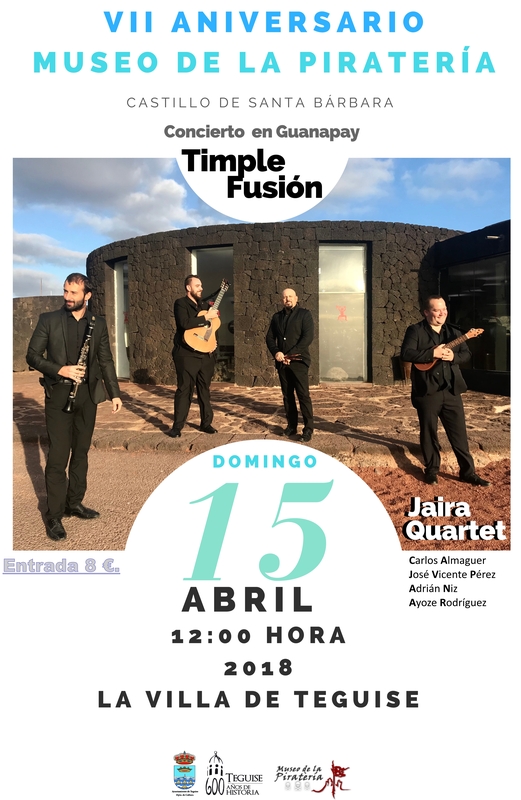 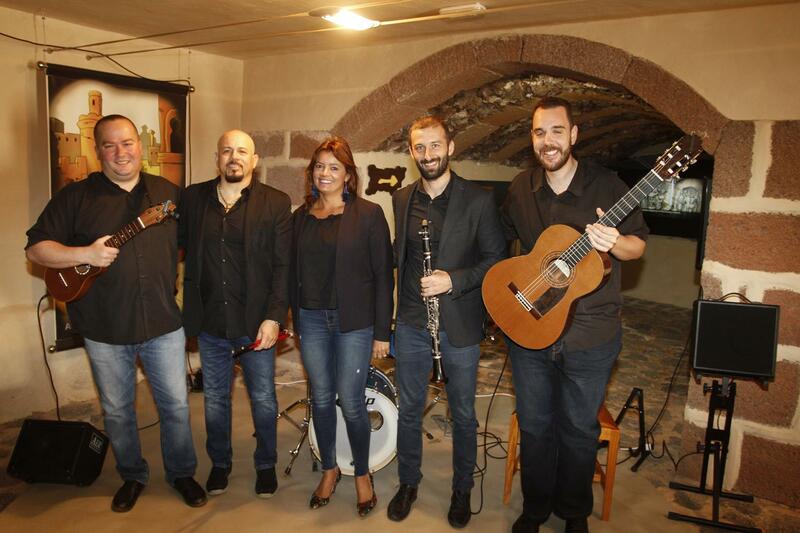 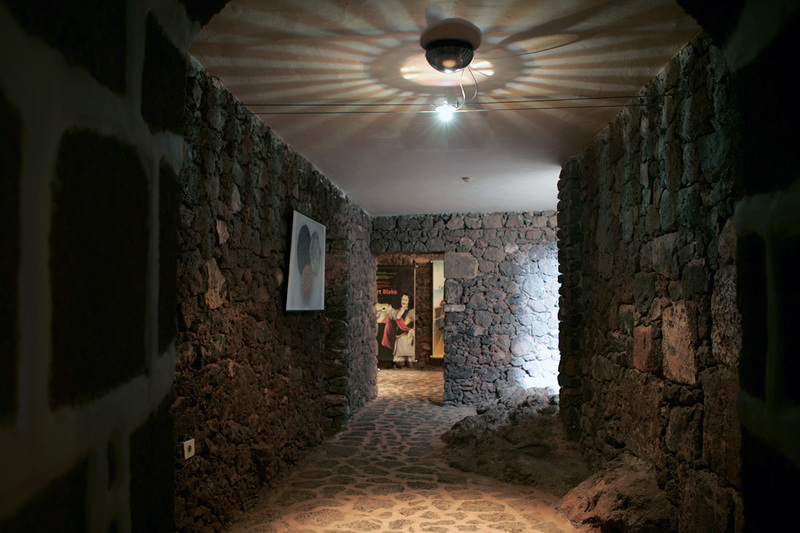 The second hall deals with the most important plunders suffered in Lanzarote from 1551 until 1618, led by Berber pirates such as Morato Arráez, Tabac Arráez and Soliman. 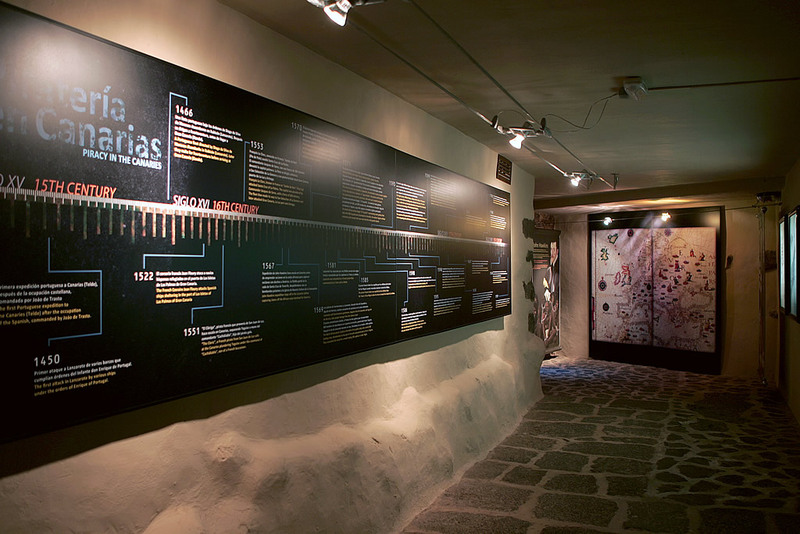 The visit becomes more and more interesting as we enter the hall “Trades in Teguise”. 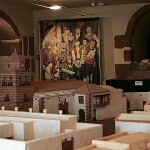 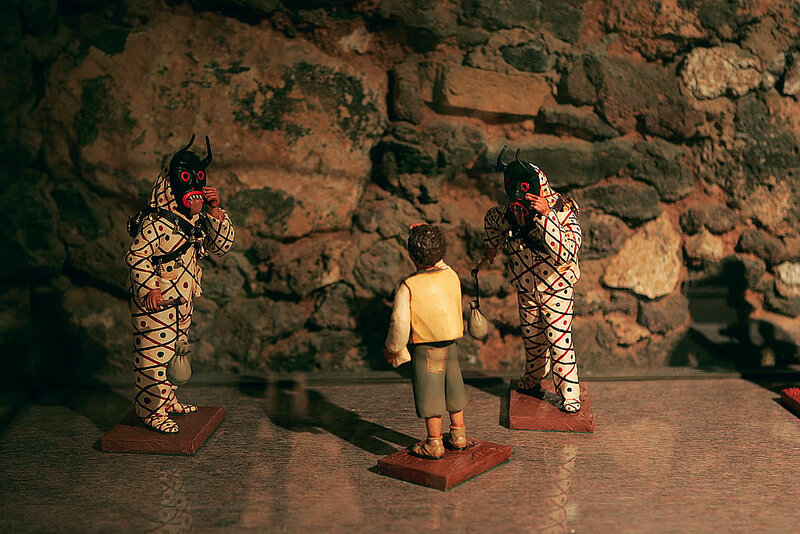 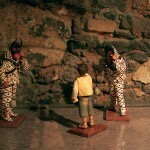 Comics, caricatures and small sculptures depict the population living in the town during that period. 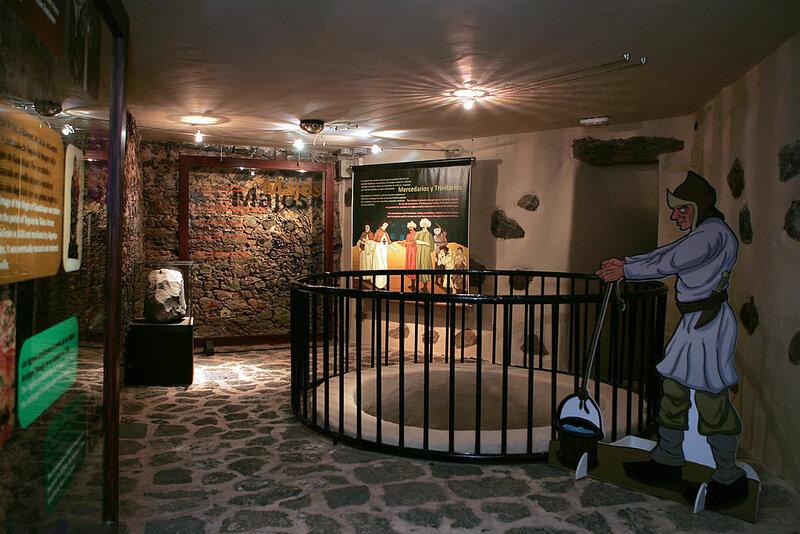 The narrow corridors of the Castle display the figures of internationally well-known pirates, such as John Hawkins, Francis Drake and Robert Blake, among others. 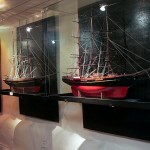 Our curiosity will be aroused in the weapon hall, with reproductions of guns, sabres and cannons used by pirates and with models of an old Spanish 106-cannon galleon from the 18th century, which proves that Spanish vessels were the best armed ships in the world, with a heavy military equipment to repel pirate attacks. 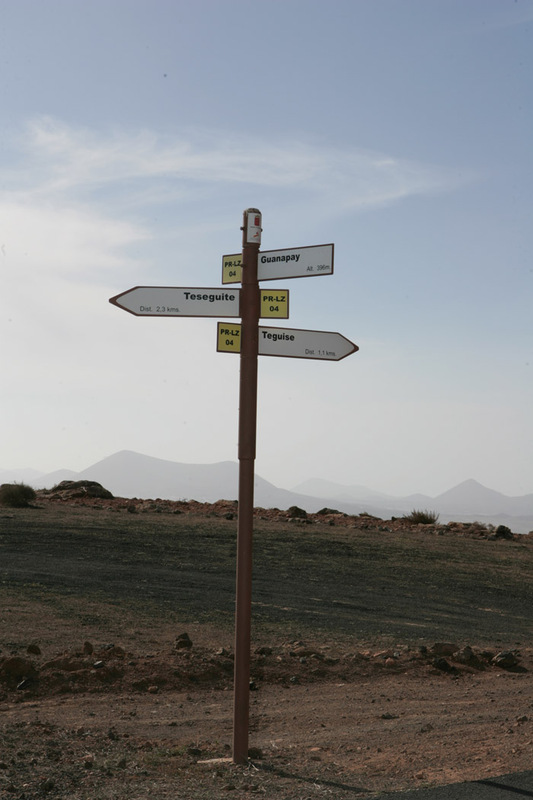 The Canary Islands, on the crossroad of the American routes, were a favourable area for international piracy since the discovery of America. 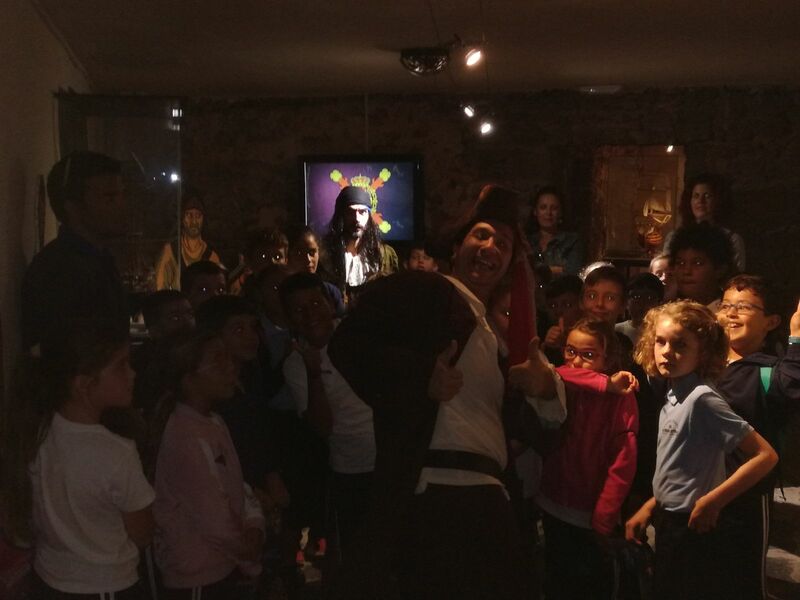 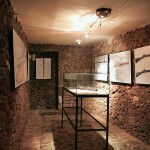 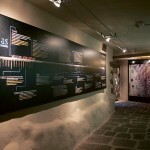 This is the exhibition message of the Piracy Museum of Teguise.